The Black Stain in this example still lets some wood grain to show. The Bright Orange Round Mat makes a stunning contrast which sets the entire project off. 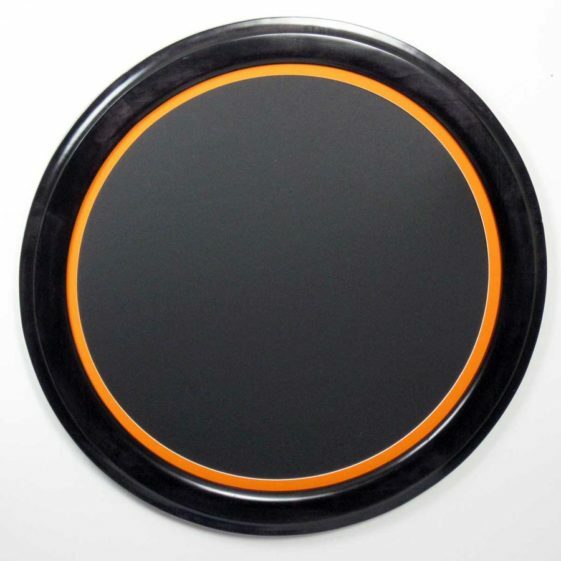 We have a wide selection of Round Mats and Oval Mats available on our Picture Frame Mat page. It’s really hard to go wrong with Oak. The color pairs with nearly anything and has a lot of character. 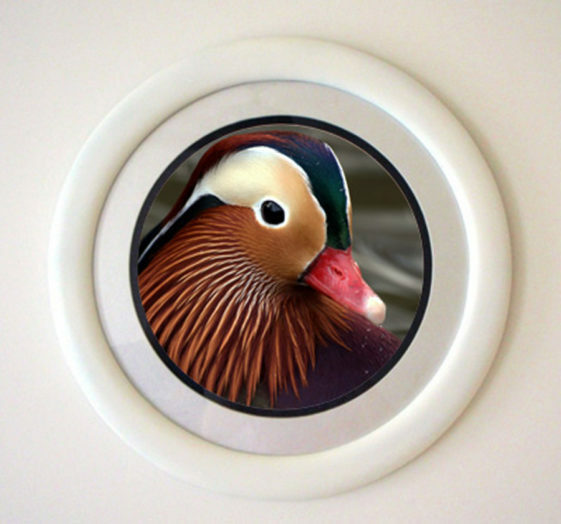 We offer Round and Oval Matting to complete the look. Virtually any color available. 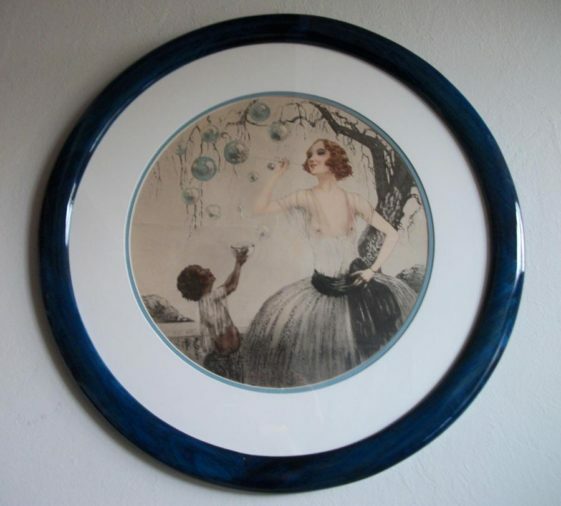 Shown with Silver & Blue Round Matting See our Round & Oval Matting page for great color selections! Oak Round Picture Frame with Walnut Burl Veneer and a Round Mat. 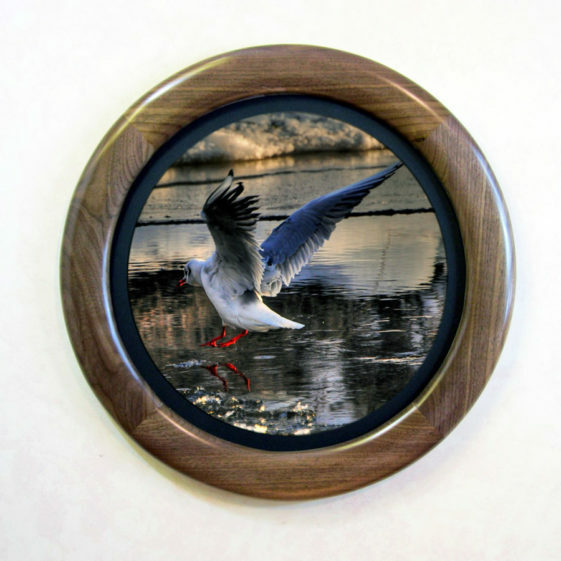 Red Stained Poplar Round Picture Frame with White Round Matboard. 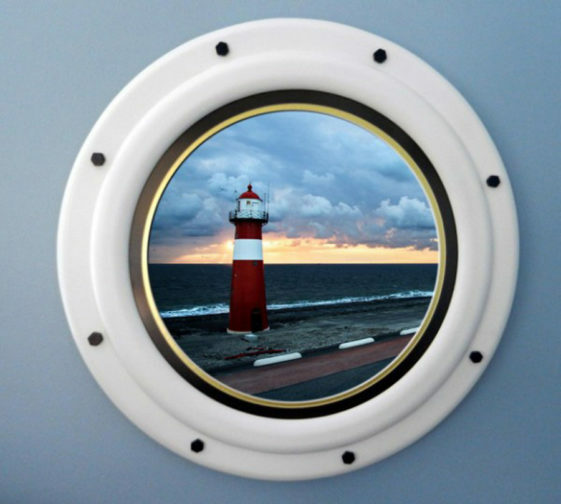 Round Photo Frame Painted White with Two – tone Blue and Silver Matting. The brilliant color photo works well with the simple Mat finish, White Frame and subtly Multi-hued Mat. The Blue and Gold Mattes add the finishing touches to this frame and photo. It just wouldn’t be the same with out it. 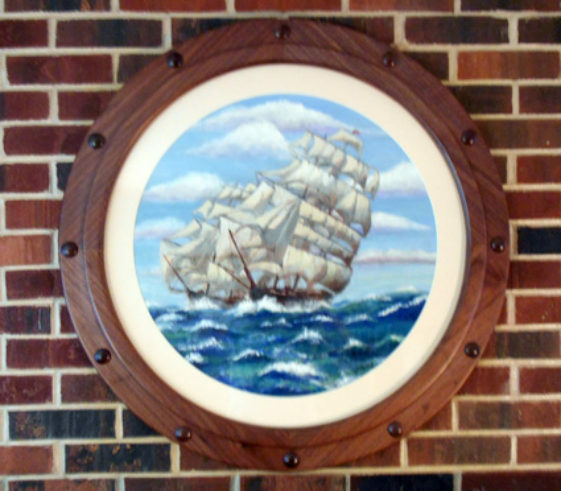 Poplar Round Picture Frame, stained Blue. Poplar is naturally White, and takes stain extremely well, making it a versatile wood, perfect for use with a wide range of colors. Here, the Blue Frame, along with the wide Two – tone Blue and White Matboards enhances the Blue colors in the print that were otherwise lost.